Can Low Testosterone Cause Infertility? Male fertility is a complex issue. There are so many factors that can influence your reproductive health, and we still can’t predict exactly how each of these factors will affect an individual’s fertility. However, study after study has shown that low testosterone levels are heavily linked to male infertility. If you’re experiencing infertility and can’t seem to find an answer, it’s definitely worth seeing a doctor and having your testosterone levels checked. Symptoms of low levels of testosterone will usually come on so gradually that you may not even notice a dramatic change. Common symptoms include low libido, irritability, depression, difficulty concentrating, chronic fatigue, and erectile dysfunction. It’s important to note that while low levels of testosterone have been linked to infertility, exceedingly high levels of testosterone have also been shown to negatively impact male fertility, so participating in testosterone replacement therapy may not be the answer you’re looking for. You’re probably wondering: how exactly does low testosterone affect my fertility? The answer to that question actually starts in the brain. The hypothalamus is a part of the brain that coordinates both the autonomic nervous system and the pituitary gland. The hypothalamus produces a chemical called gonadotropin-releasing hormone (GnRH). GnRH then sends a message to the pituitary gland to signal that it should generate two different kinds of fertility hormones: luteinizing hormone (LH) and follicle-stimulating hormone (FSH). FSH will then trigger the production of sperm cells while LH sends a message to the testes that they should start producing testosterone, which is also necessary for sperm production. When you don’t have enough testosterone being produced, that means that your sperm count will be lower, and it will be more difficult to conceive. 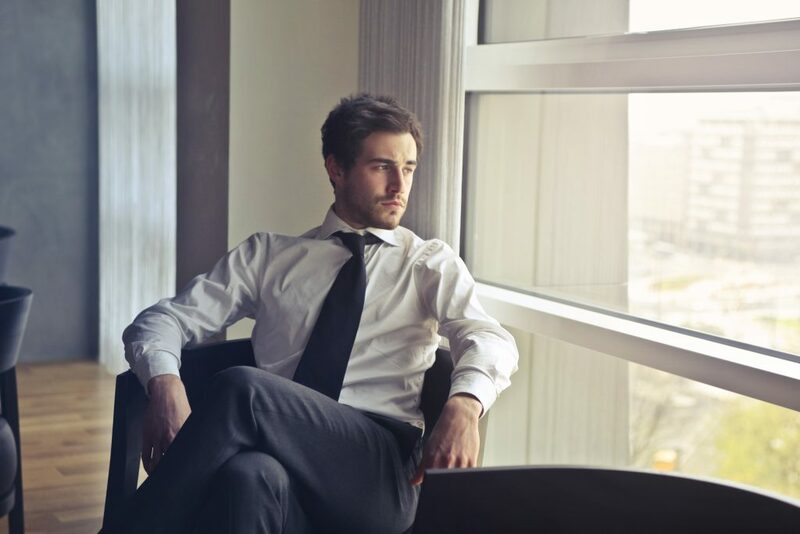 Testosterone replacement therapy is a common treatment for low testosterone, but if fertility is your primary concern instead of low libido, you’re going to want to choose another treatment. Testosterone replacement therapy can trick your brain into thinking it doesn’t have to produce any more GnRH, which then slows the production of FSH and LH. Without these hormones, your sperm count decreases. If you’re struggling with fertility issues, seek out a urologist or endocrinologist who specializes in male fertility and talk to them about your options. Whatever treatment you decide to go with, it’s important that it’s tailored to your specific goals. If you want to avoid taking medication to raise your testosterone levels, you can try enacting lifestyle changes instead. Regular use of tobacco products, alcohol, and narcotics have all been linked to fertility issues and low testosterone, so kicking those habits is the first step towards regulating your hormone levels. Maintaining a healthy weight has also been shown to help regulate hormones, as has to make sure you regularly exercise that includes a mix of weight training and aerobic exercise. Low levels of vitamin D have been linked to lower testosterone levels. You can get vitamin D from fatty fish, fortified cereals, mushrooms, and sunlight – but remember to limit your sun exposure so that you don’t increase your risk of skin cancer. 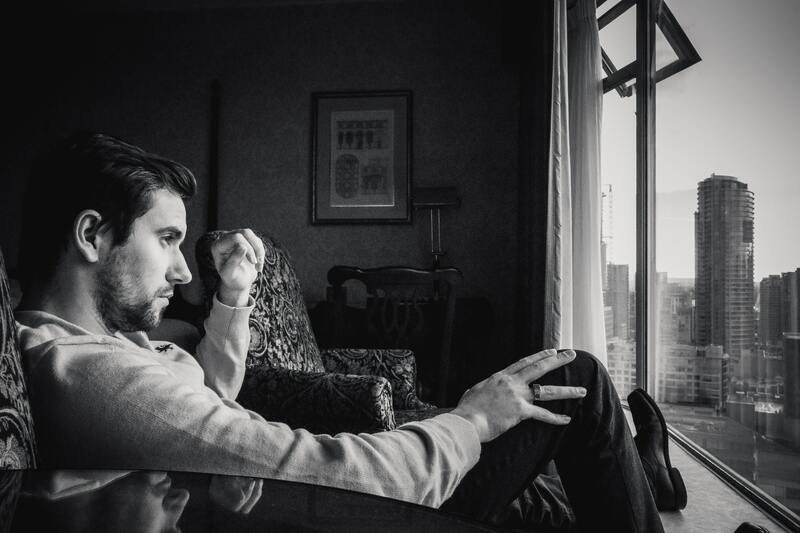 Issues with male fertility can be frustrating and disheartening, but it’s important to know that there are highly trained, experienced, caring health professionals out there to help you navigate your issues with fertility. It’s always better to know what’s going on in your body rather than ignore it out of fear, so if you think you may have low testosterone levels, don’t wait any longer to get your hormones checked. If you’re looking for infertility clinics in Phoenix, AZ, IVF Phoenix has a team of experts that are always ready to help you through any fertility issues you and your partner may be facing. IVF Phoenix is one of the most highly regarded infertility clinics in Phoenix, AZ, and for a good reason. They will walk you through all of your options and help you choose the path that’s right for you. Everyone’s stomach drops when they turn on their car only to hear a strange, unpleasant noise coming from the engine. You know it will only get worse if you ignore it, so you decide to take it in for repairs and cross your fingers it doesn’t end up costing you a fortune. But what are you supposed to do if your warranty just ran out? Should you continue taking your car to the dealer or find an independent local mechanic? There are distinct pros and cons to each choice, and at the end of the day, it’s all about weighing which factors matter most to you and making an informed decision. If you have a luxury car and want to make sure it’s only repaired using the original manufacturer’s parts, the dealer is the way to go. They’ll be experts in your specific car brand, and their mechanics are required to exclusively use the original manufacturer’s parts for all repairs and replacements. Dealing with a locally and independently-owned business means you’ll be building personal relationships with your mechanic and will get more personalized service, all while supporting your local economy. Most mechanics can work on a wide variety of different car brands, so you can take all your family cars into the same shop for repairs and inspections. One of the most significant advantages to going with an independent mechanic is that labor will be significantly cheaper, and you won’t be breaking the bank with every small repair. Local mechanics can also recommend alternative parts that are cheaper, whereas the dealership can only use original manufacturer parts. You can also find a mechanic that’s closer to your home and more convenient to get to. Aarrow Transmission is an auto service in Richmond, VA, that offers world-class auto repair and transmission service. Like most local mechanics, they’ve built their business on superior customer service and quality workmanship, so you can trust they’ll get the job done right every time. Once your warranty runs out, you’ll probably be paying a lot more for parts and labor at the dealership versus at a local mechanic. Since you’ll likely be dealing with a service advisor instead of dealing with the mechanic directly, you won’t be able to build a personal relationship with your mechanic, which might put you at risk for being pressured into repairs and services you might not need. Another downside of going with the dealer is that it’s unlikely that the dealership will be as close to your home as a local mechanic will be. Doing a simple search for “auto mechanic near me” will show you how many local mechanics there are within just a few miles of your home. If original manufacturer parts are the most important thing to you, you might not want to go with a local mechanic. Also, if your car is still on warranty, you’ll probably need to get your repairs done at the dealer. We’ve all been there at some point in our lives – we know it’s time to get healthy and start exercising regularly, but we don’t know where to begin. Exercise programs that are centered around running and weightlifting can be intimidating for beginners, not to mention rough on your bones and joints. It can be easy to get discouraged and not commit to any form of exercise at all – until you discover swimming. Swimming is one of the best ways to get the exercise you need to maintain a healthy body and mind. Almost all your muscles are engaged when you’re swimming, so you get a full body workout with just one simple activity. You can add some variety to your aquatic workout by challenging yourself to go beyond the classic freestyle stroke and learn breaststroke, backstroke, butterfly stroke, and more. One of the best things about swimming is that it increases your heart rate without putting a ton of stress on your joints and bones as running and weightlifting do. You’ll get a great cardio workout without suffering from constantly aching knees and shoulders. For people with injuries, asthma, arthritis, and more, swimming can a safe form of exercise that won’t exacerbate these conditions. And, because the water provides some gentle resistance, you’ll also be building muscle strength and tone while getting in your cardio. Swimming helps keep your heart strong and your lungs healthy while also strengthening your muscles. Fitting in cardiovascular exercise at least a couple times a week has even been shown to lower blood pressure and help control blood sugar. 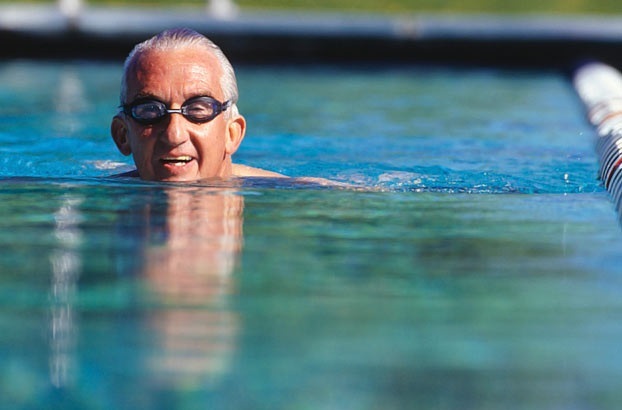 If you’re trying to maintain a healthy weight, swimming is an excellent way to burn calories without engaging in unpleasant, high-impact exercises. You’ll build your endurance and improve your posture, coordination, and balance all with one activity. Plus, it can be hard to keep fit during the holidays, and swimming is the perfect way to keep exercising all year round, no matter how cold the weather is outside. Regular exercise has also been linked to improved mental health. Swimming can be the perfect way to relax and decompress from a stressful day. You can tune out the outside world while you’re in the water and spend some time taking care of yourself. Or, if you prefer to combine exercising with socializing, you can sign up for some aquatic fitness classes and meet some new people. Who knows, you might even make a new friend or two! If you’re looking for a great place to swim and get fit in Richmond, Swim RVA is the place to go. Swim RVA is passionate about sharing the amazing benefits of aquatic exercise with their community. Their mission is to make swimming and other forms of exercise more accessible to all kinds of people, no matter their age or ability. Swim RVA offers water fitness classes of all kinds and levels and even teaches swimming for beginners. Or, if you’re looking to combine swimming with some land exercises, you can sign up for Swim RVA’s non-aquatic fitness classes like cardio Zumba, yoga, and core training. If you’ve ever wanted to try aquatic fitness but don’t know where to start, Swim RVA is here to guide you to the perfect aquatic or non-aquatic fitness routine for you. Whether you’re installing fencing on your property for the first time or looking to replace your current fence, there’s a lot to think about. 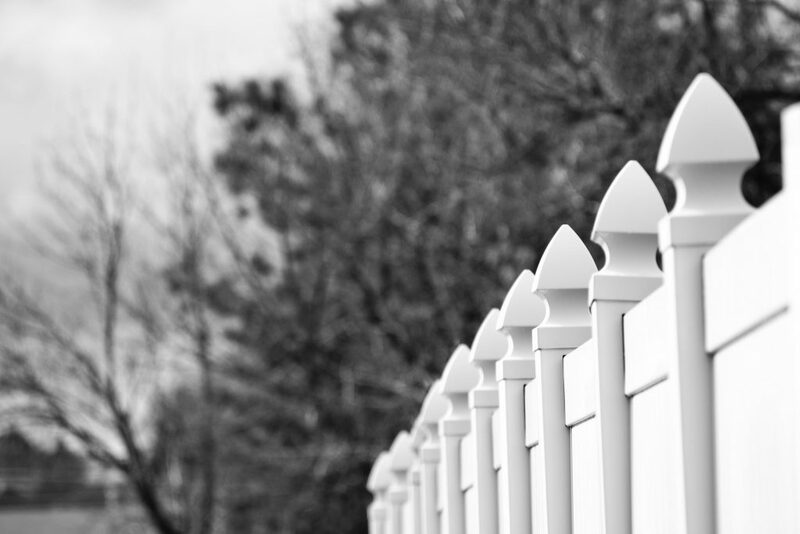 Unless you’re already a fencing expert, you’re probably going to need a little help to ensure that you choose the perfect fence for your property. These four common fencing questions will help you feel confident that you’ll end up with a fence that suits your needs, style, and budget. What Kind of Fence Should I Choose? The first thing to think about when choosing your fence is what you need out of it. Are you simply looking to increase the curb appeal and resell value of your home? Are you worried about the safety of your kids and pets while they’re playing outside? Are you looking to increase the privacy of your yard? Once you determine what you need, you can narrow your fencing options down significantly. For privacy fences, you’re going to want something tall with little to no room between slats. If you’re looking to protect kids and pets while playing outside, you’re going to want childproof latches on your gates and a fence that goes deep enough into the ground that your pets can’t dig under it. If curb appeal is your primary concern, all you have to do is choose the fence that looks best with the architectural style of your home. The material you choose may be dependent on the type of fence you need. For example, wood is great for privacy fences because a wood fence can be built with little to no room between the slats. However, wood requires a little more maintenance than other materials, especially if you live in a humid climate or get a lot of rain. If you’re willing to do a little more maintenance over time, wood is also an excellent way to increase the curb appeal of your home. It can be painted any color you want, and it has a beautiful, natural look. Aluminum is a versatile fencing material that can be easily adjusted to fit a sloped landscape without leaving you with awkward gaps or transitions. Aluminum is cost-effective and relatively low-maintenance. Vinyl fencing is an increasingly popular option due to the fact that it’s incredibly durable and weather resistant. Vinyl won’t rot in humid climates, and it’s easy to install and maintain. However, if you decide you want to change the color of your vinyl fence, you may have to install a completely new one. Should I Stain or Paint My Fence? If you decide to go with a wood fence, now you have to decide whether to stain or paint it. Staining will cost a bit more money up front, but because it lasts so much longer than paint, you’ll probably end up saving money in the long run. Stain requires less maintenance and can go a long way toward waterproofing your fence. If you choose paint, you’ll likely have to repaint ever one to three years, which can be quite an involved process. However, paint allows you to fully customize your fence and make it any color you want. If you’re willing to invest a bit more time and money in maintenance, paint can still be a solid option. How Do I Choose the Right Fence Company? Now that you’ve decided what kind of fence you’re looking for, you need to find a fence company that you can trust. It’s crucial that you do your research and find a company that has an excellent reputation, lots of experience, and offers high-quality products. Fencing Unlimited has offered expert fence installation in Chesterfield and Central Virginia for over 40 years. Their team will walk you through all your options and help you choose fencing that’s perfect for your property. They’ll even help you design the layout and gate placement so that everything works seamlessly together. Fencing Unlimited has been the go-to choice for fence installation in Chesterfield for so many years because of their excellent customer service, flawless installation, and high-quality products. Can you remember the last time you checked on the condition of your home’s windows? If your windows are showing any signs of damage, investing in replacement windows sooner rather than later could end up saving you a lot of money in the long run. There are a few things you should look for to determine if it’s time for replacement windows. High-quality windows should significantly dampen any outside noise. If you can clearly hear conversations happening out on the street, noise from critters passing by, or music from passing cars, it’s probably time for replacement windows. 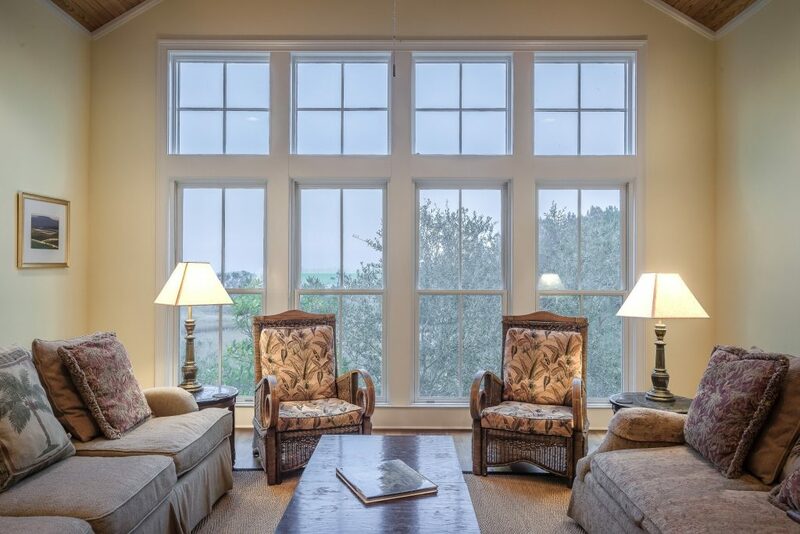 Investing in double or even triple-paned windows will give you a quieter, more peaceful home, even if you live on a busy street or have noisy neighbors. Stand next to your windows on a cold evening. Can you feel a breeze coming in through your windows even though they’re tightly closed? Is the window pane cold to the touch? Does the temperature in your home get more and more chilly the closer you get to your windows? These are all signs that your windows are letting drafts into your home, which is most likely due to inexpert installation, faulty seals, or low-quality windows. Purchasing replacement windows from a reputable company like Blue Ridge Exteriors could dramatically improve the temperature in your home. That means lower energy bills and a more comfortable home all year round. Blue Ridge Exteriors will guide you toward the right replacement windows for your needs and budget and will make sure they’re flawlessly installed, so you don’t have to deal with drafts. This one is a no-brainer. If you notice any visible signs of damage on your window frames, it’s time for replacement windows. Look for chips or cracks in the wood and test it to see if it’s soft to the touch. Soft wood points to window rot, meaning the wood is deteriorated and letting in more and more air from outside. Why Are Replacement Windows Important? Now that you know about some common signs of window damage, you might be wondering if replacement windows are really worth the cost. The short answer? Yes. If you invest in high-quality replacement windows, you’ll enjoy a whole host of long-term benefits. It’s no secret that the market value of a home is largely determined by its curb appeal. Windows play a huge part in any home’s facade, and if your home has outdated, damaged windows, your entire house will look drab and neglected as a result. High-quality windows will insulate your home exponentially better than damaged, low-quality windows. Investing in replacement windows will actually end up saving you money by dramatically cutting down on your energy bill each month. Windows that are damaged or poorly installed won’t be as easy to lock properly. This makes your home more vulnerable to break-ins. Good replacement windows can help keep you, your family, and your belongings safe. Getting your brakes regularly checked by a professional is one of the most important parts of proper vehicle maintenance. Having brake problems that you either ignore or aren’t aware of can be a serious safety hazard both for yourself and for other drivers, pedestrians, and cyclists. It’s especially important that you get your brakes checked before the freezing temperatures of winter set in. 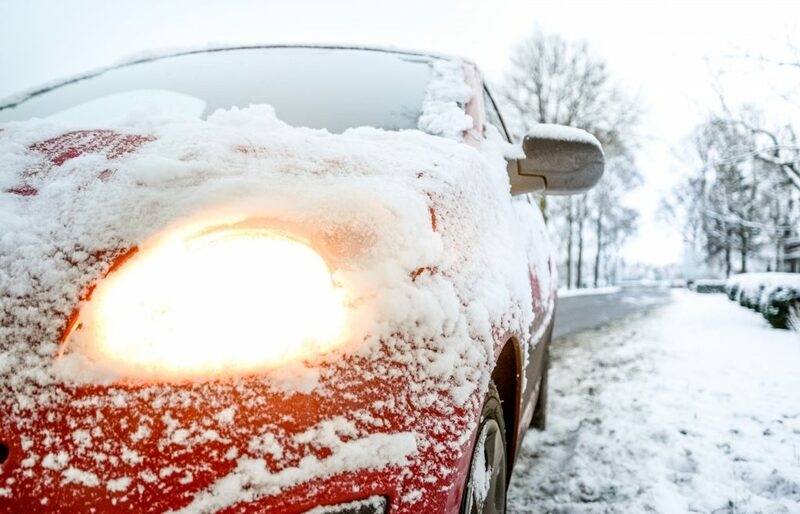 You might be wondering; how does cold weather affect my brakes? The short answer is that it doesn’t – at least not directly. However, cold weather can indirectly contribute to the deterioration of your brake pads and rotors. What really causes damage to your brakes is heat, friction, and debris. So how does cold weather play into it? When temperatures drop below freezing, roads can become slick and slippery even without significant precipitation. This causes vehicles to slide, and as a result, people will pump their brakes harder and more often. This then causes extra heat and friction that negatively affects your brake pads and rotors. Sliding vehicles require brakes to work much harder, and just a couple weeks of driving in the winter can significantly shorten the lifespan of your brakes – even more so for aggressive drivers. In addition, air, water, and dirt will naturally collect in your brakes all year round, but in the winter, those elements will freeze and cause your brakes to start squeaking and grinding. If you wait too long to get your brakes checked and serviced, you might find yourself shelling out for more expensive repairs down the road. Road salt is a winter-specific contaminant that could cause some damage to your brakes and your vehicle in general. Road salt is used to lower the freezing point of water and melt ice and snow off of roads in the winter to make it safer for drivers. However, when you drive over road salt, it gets kicked up into the undercarriage of your vehicle and can promote rusting and deterioration. Getting your brakes checked, serviced, and, if necessary, repaired before winter hits can save you a ton of money in the long run and keep you safer this winter. If you’re looking for a professional that can change brake pads, you can simply search for “brake service near me” and look at reviews for all the brake repair specialist near you and choose a reputable service. 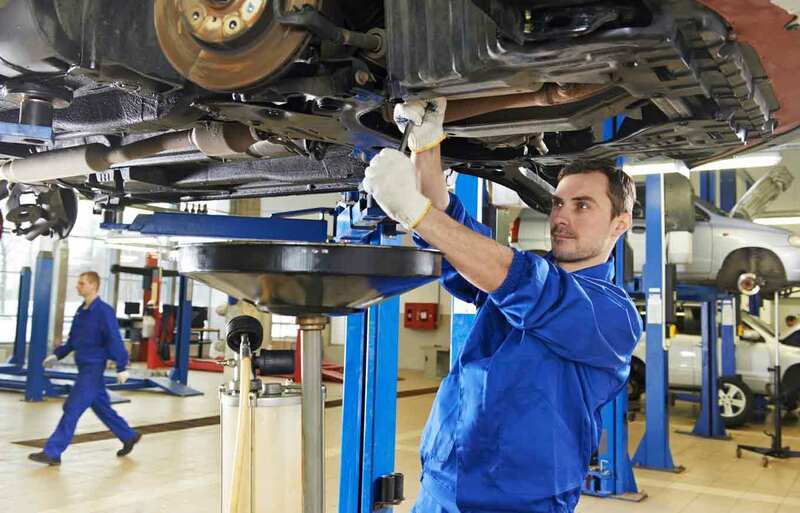 Aarrow Transmission offers expert brake repair services in Midlothian, VA, and will check your brakes before winter sets in to make sure everything is working properly. It’s simply not worth the risk of putting it off. Preventing an accident is well worth the time, money, and effort of taking your car into a professional. Is There a Link between Ibuprofen and Male Infertility? A recent study published in the Proceedings of the National Academy of Sciences journal may have found a link between regular ibuprofen use and male infertility. The research team studied a sample of 31 male volunteers between the ages of 18 and 35. About half the men were given a daily dosage of 600 milligrams of ibuprofen twice daily – the maximum limit as directed by the labels of generic ibuprofen products – and the remaining men were given a placebo. After 14 days, the luteinizing hormones – hormones secreted by the pituitary gland that stimulate the production of testosterone – of the men who were taking the ibuprofen became coordinated with the level of ibuprofen in their bloodstream. Simultaneously, their ratio of testosterone to luteinizing hormones decreased, which can be a sign of reduced fertility in men. Because of this hormonal imbalance, many of the men who were taking the ibuprofen developed hypogonadism, which is a condition associated with impaired fertility, depression, and an increased risk of cardiovascular events like heart failure and stroke. However, the researchers in charge of the study say these symptoms are reversible. Ibuprofen belongs to a class of drugs called nonsteroidal anti-inflammatory drugs (NSAIDs) and is also sold under the brand names Advil and Motrin. NSAIDs are typically used to treat minor pain and reduce fever. The National Institute of Health says that people who regularly take NSAIDs could have a higher risk of heart attack or stroke than those who don’t. The drug can also cause ulcers and bleeding the stomach or intestines if taken at very high doses or for an extended period. Even before the study, it was already known that ibuprofen is an anti-androgenic drug, which means that it disrupts the production of male hormones. Impaired fertility is a problem everywhere, and it can cause a massive amount of emotional strain on couples who are attempting pregnancy. The best way to be sure about your fertility is to visit a trusted infertility clinic. IVF Phoenix is more than just your average infertility clinic. They are a team of dedicated specialists who have a passion for helping couples realize their dream of starting a family. IVF Phoenix has helped people with infertility and reproductive challenges for over 20 years. While this was a small study and there are, of course, many more questions to be answered about the effects of ibuprofen on male fertility, it’s still important to know what’s being studied in the scientific community so that you can make informed decisions about your life. Proper oral care is very important. If you don’t properly care for your teeth, it can result in severe tooth decay. If the decay is severe, a root canal might be necessary. If the tooth is extremely decayed, the tooth might need to be extracted. Poor oral health can also result in gum disease. If the gum disease is severe, it can eat away at the bone, making the teeth in the area loose and eventually, they will fall out. Not only does tooth loss have a negative effect on your appearance, it can also hurt your self-esteem. If the decay gets this bad, you would need the help of a dentist who specializes in cosmetic dentistry to replace the missing teeth with a partial bridge or a dental implant. Most people know what poor oral health can do to their teeth and gums, however, most people don’t know that poor oral health can have a negative effect on your overall health. There are certain conditions that can be caused if you don’t care for your teeth properly. Poor oral health can result in heart disease. Gum disease and periodontal disease can cause inflammation and the growth of bacteria. If this bacteria enters the bloodstream, it can travel through the arteries in your heart and cause them to harden. This is called atherosclerosis. This condition can cause plaque to develop in the walls on the inside of the arteries. When the plaque thickens, it can keep the blood from flowing properly through the body. This can put you at great risk of having a heart attack or a stroke. The bacteria can also build up in the heart causing endocarditis. This is a condition where the heart becomes infected and inflamed. The best way to protect your heart health is to see your dentist every six months as recommended by the American Heart Association. Poor oral health can also have a dangerous effect on your brain. If you have gingivitis, the bacteria that builds up in your mouth can travel to your brain through your bloodstream or through the nerve channels in your head. When it reaches the brain, it can cause you to develop dementia or Alzheimer’s disease. Gum disease can result in an infection in your lungs such as pneumonia. Most people don’t get the link between poor oral health and breathing, however, it is relatively simple. When you have bacteria in your mouth, you are breathing it into your lungs each time you inhale. Over time, the bacteria can build up, resulting in a serious infection. Regular cleanings will prevent gum disease and it will keep your lungs healthy. If you don’t care for your teeth properly, your gums will become inflamed and periodontal disease often occurs. These two conditions can make it harder for you to control your blood sugar regardless of how careful you are. This can worsen your diabetes symptoms. Also, many diabetics are more susceptible to developing periodontal disease. It is especially important for diabetics to care for their teeth properly. If you want your smile to look great for years and years, you need to take good care of your teeth. The same is true if you want to protect your heart, your lungs, and your brain. Good oral hygiene isn’t very difficult nor is it too time-consuming. If you can spare just 9 minutes a day and two hours a year, you can have perfect teeth. The following tips will ensure a healthy mouth and a healthy body. • Brush your teeth for at least three minutes, three times a day. It is best to use an electric toothbrush and a tartar fighting toothpaste. You should brush in the morning, in the afternoon, and before you go to bed. • Flossing is very important to the health of your gums. You don’t need to floss every time you brush your teeth, however, you should be flossing every day. • After you brush, you should be rinsing with mouthwash. A bacteria-killing mouthwash will get rid of any bacteria that you missed while brushing your teeth. • According to the American Dental Association, you should visit the dentist every six months. During each visit, your teeth would be cleaned. Regardless of how well you brush, there are areas of the mouth that you cannot reach with your toothbrush, therefore, a professional cleaning is important. Once a year, your dentist will take an x-ray of your teeth to check if you have any cavities. The sooner the cavity is detected and filled, the less damage it can do to the tooth. Proper dental care is important not only for your appearance and your self-esteem, it can also keep you healthy for years to come. Everybody has their own ideas as to which room in the home should be renovated first. Yet this is not really something that can be reduced to an automatic mathematical formula as written in the infallible house flippers manual. Human judgment, personal tastes, and available resources can all affect the calculation. In addition, many homeowners, particularly new ones, are at a loss regarding where to begin the process of upgrading their surroundings to better suit their tastes. In these cases, it may be wise to get an informed professional opinion from a general contractor, who can provide some guidance on what projects are within the purview of the available resources. The important thing to remember is that there is no real one-size-fits-all type of advice that is good under all conditions. A lot depends on a set of specific factors that change from one project to the next. For example, certain rooms in the home, namely the kitchen and the various bathrooms, are often cited as the best place to start renovating. As anybody who has ever gotten into a kitchen remodeling project well knows, kitchens can gulp money at a tremendous rate. One you get into the middle of one, however, you are usually committed to getting it done. Stopping in the middle is going to leave you with a partially-functional kitchen that is, in addition, disconcertingly ugly in its unfinished state. This means that prioritizing which rooms to remodel is dependent on what financial resources you can commit to the project. Even if you want a new dream kitchen, you may not have the monetary juice to pull it off right now. So think about picking another space that is a better match for what you can afford to spend on bringing that project to completion and then revisiting other rooms as financial circumstances improve. Another factor that needs to be considered is the current state of the home as it now stands. You may not be wild about your kitchen– but it may be in better shape than your living room with the warped floor boards and crumbling plaster walls. Homeowners may make better use of their resources if they begin by impartially assessing the condition of each room on an objective scale, and then list out where their priorities should be. Of course these calculations primarily involve people who are going to stay in their homes and remodel as they go. Many of these prudential planning and scheduling aspects go out the window if you are just looking to hastily flip a house you just bought. Here, you simply want maximum return on your investment of time and money– regardless of what the finished product looks like. In these circumstances, yes, you should probably put your resources into the kitchen and bathrooms on a priority basis unless someone has driven a truck through the bedroom of the house you just picked up. Someone who buys and sells houses for a living is not interested in the same criteria as the established homeowner. The only thing that matters is Return On Investment and a dollar put into the kitchen or bathroom traditionally brings the largest multiplied return on that dollar, all other things being equal. Yet there are other spaces in some homes that can produce far higher returns than the traditional kitchen and bath remodels– and provide a vastly more enjoyable lifestyle as well. Lots of new homes are sold with unfinished basements in them. So far as the banks are concerned, this is not considered to be part of the living area of the home until it is finished. Completing this space can not only add a lot of usable space to the house but it can also greatly enhance the value and marketability of the home as well. If a home’s square footage is taken from 2000 to 3000, its loan value increases as well. 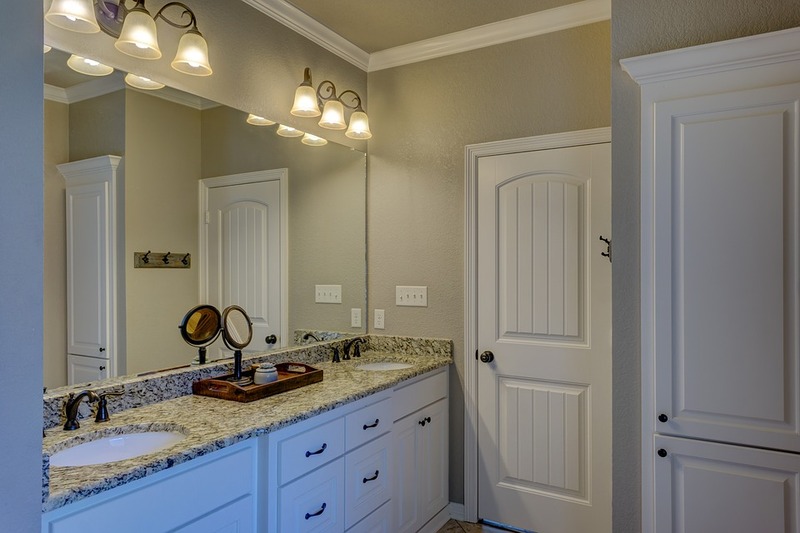 Adding an additional bathroom can be even better than putting the money into one you already have. The same goes for adding new bedrooms instead of upgrading the current stock. 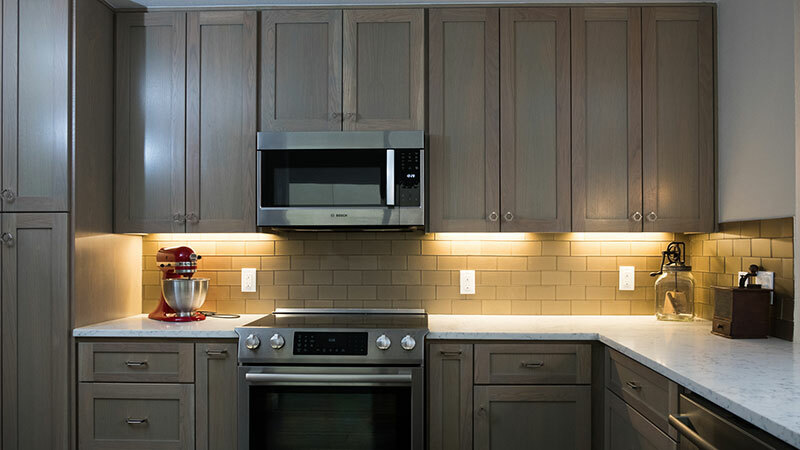 As can be seen, there are a lot of moving parts for most renovation projects, and it is critical to craft a carefully considered plan before opening up the wallet and buying stuff. Slow and steady investment, backed by proper budgeting and wise allocation of available resources, can actually carry you farther than the frantic “blow-and-go” process which some of the most extreme house flippers have been known to employ. A general contractor like VanRossun Contracting can provide some apples-to-apples price comparisons and cost-benefit analysis between various room remodel projects which can really help you decide where to start and also where you hope to end up—as well as the most frugal and efficient way of arriving at that desired destination. It’s very common for adults over 50 to have knee trouble of some sort. Our knees take a lot of the impact of walking, running, or jumping, and over time the joints begin to wear out. There are several ways of dealing with knee troubles, and frequently knee replacement surgery is the best way to alleviate the problem for the long-term. Total Knee Replacement surgery can sometimes be avoided by other methods, but in serious cases it is often the only option. Typically, the damage that requires knee replacement is caused by arthritis, or normal wear and tear that the body experiences over the years. Generally, this damage starts to become a problem for people that are over 50, though sometimes younger people will need knee replacement surgery as a result of an accident or abnormality. The name “knee replacement” is a bit of a misnomer when it comes to this procedure. It’s really more of a resurfacing than a replacement. 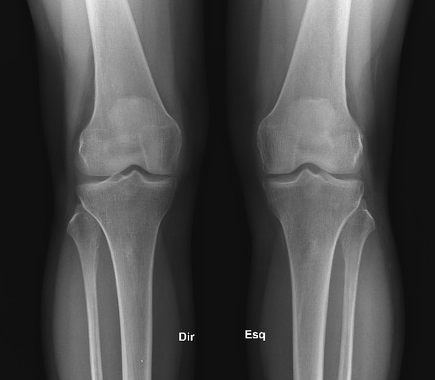 Knee replacement surgery requires an orthopedic surgeon to remove damaged cartilage and diseased or damaged bone and replace it with metal or plastic parts that are anatomically similar. Knee replacement surgery used to require a large incision to allow the surgeon access to the knee, but with modern medical advances, some surgeons have the means to perform minimally invasive knee replacement. Dr. William Nordt in Richmond, VA is one of the many surgeons across the country to practice minimally invasive knee procedures. With minimally invasive knee replacement, the surgeon only has to make a 4-6 inch incision as opposed to the 8-10 inch incision that knee replacement would usually require. With the help of computer guided instruments and special prosthetics, surgeons are able to avoid cutting major muscles, like the quadriceps, when inserting the new joint. Studies have shown that there are many benefits to minimally invasive knee surgery, including shorter healing times, shorter hospital stays, and less blood loss during the procedure itself. Minimally invasive surgery has even been shown to improve movement after healing. Ask your surgeon about minimally invasive knee replacement and see if it is an option for your surgery. If your orthopedic specialist has brought up the need for knee replacement surgery, you have nothing to worry about. 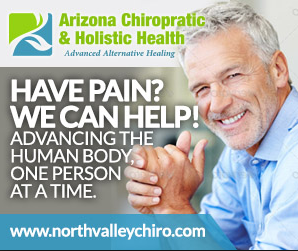 It is a very common procedure, and it will thoroughly increase your quality of life after it has healed. It’s even easier if they are able to perform a minimally invasive surgery. After a little bit of rest and some physical therapy, your knee will feel good as new again.